EVENTS: Corporate, Special Events, Private Events, French Themed Events, Festivals, TV, Theaters, Variety Shows, Etc. 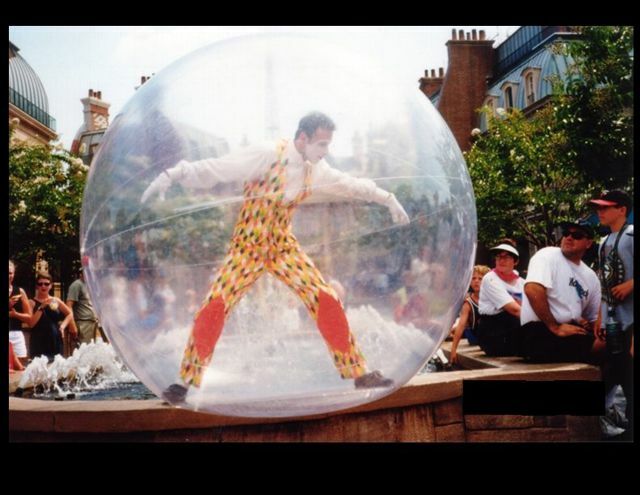 A featured entertainer at the Walt Disney World / EPCOT French Pavillion for many years. A consummate entertainer! The Bubble could be mistaken for a magical crystal ball or, on a cold and snowy afternoon, you might think your peering into a life-size snow globe. 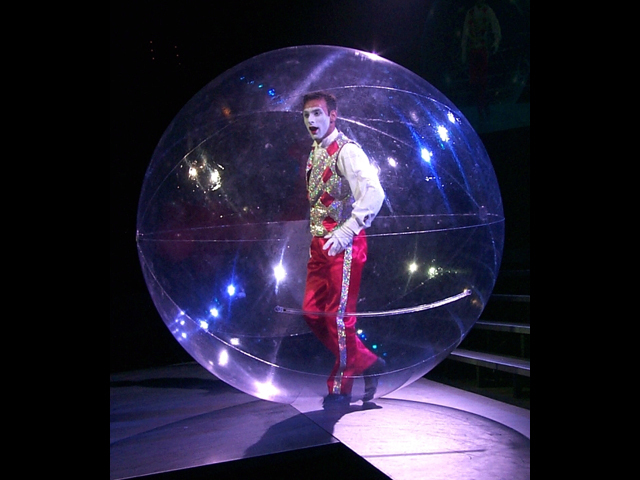 Look closely and you will see one remarkable man performing with elegance and grace, enclosed and constrained to a transparent bubble. 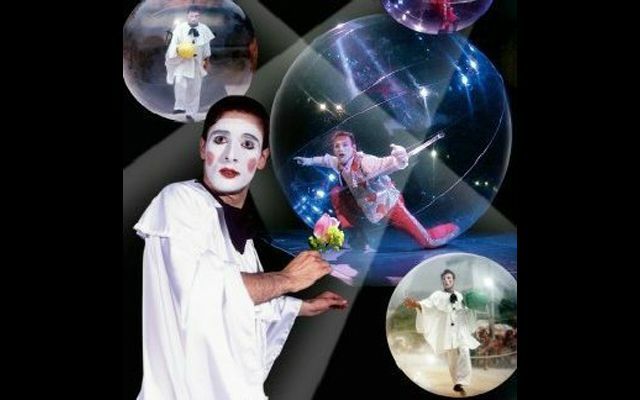 This one-man performance is an all-interactive world-class show that will keep your guests on their feet while being whisked away to a place of magic and imagination. Filled with surprise and emotion, no one will walk away from this breathtaking performance without astonishment.